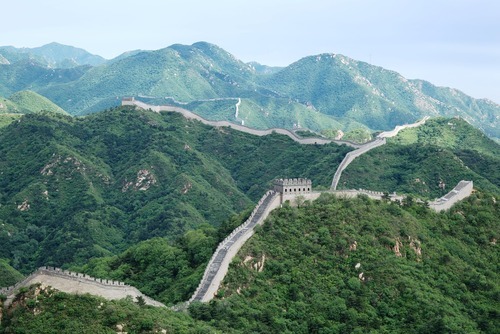 From north to south, we pack up the essence of China into this 11-day China tour package for a memorable holiday. Your guide will pick you up at the airport upon arrival. Check in hotel. Beijing is rich in culture. 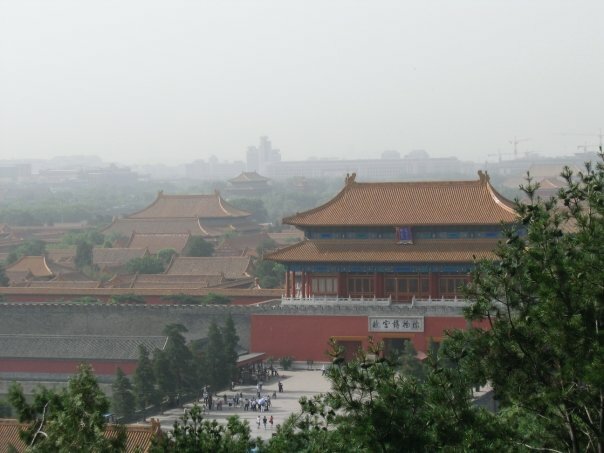 Today you will visit: Tian’anmen Square, Forbidden City, Temple of Heaven. Tonight, you will enjoy a wonderful Kung Fu Show at Red Theater. 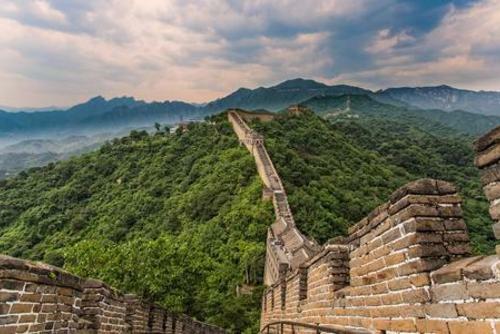 Among all the sections of the Great Wall, Badaling Section is one of the easiest ones. Visit the Sacred Way and Changling Mausoleum, Bird’s Nest and Water Cube. 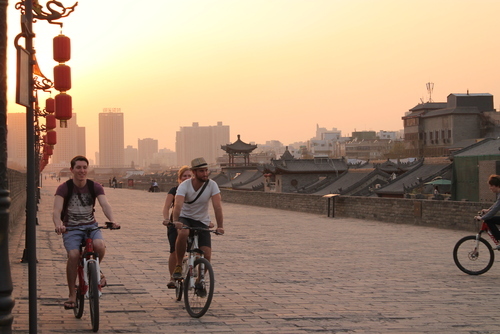 Embrace a breezy morning in the Summer Palace and take a rickshaw into Hutongs. Later today you will fly to Xi’an. Check in upon arrival. 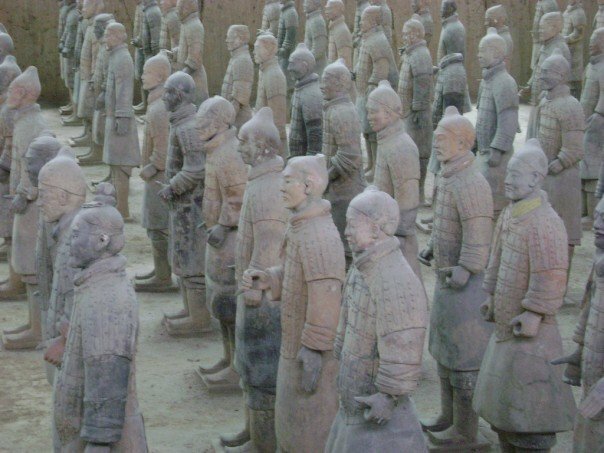 Firstly visit the wonderful site of the Terracotta Warriors and Horses. In the afternoon, you will walk on Fountain Square which is right back of the famous Big Wild Goose Pagoda and visit the Great Mosque. 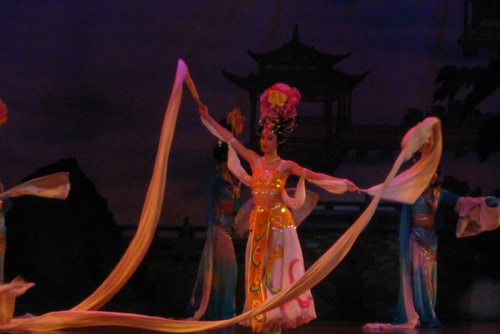 At night, you will attend a Tang Dynasty Music and Dance Show. 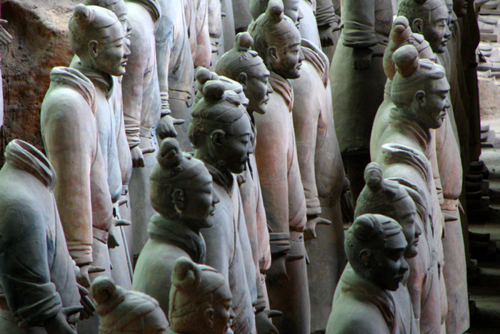 Learn Xi’an’s profound history at the Ancient City Wall and Shaanxi History Museum. 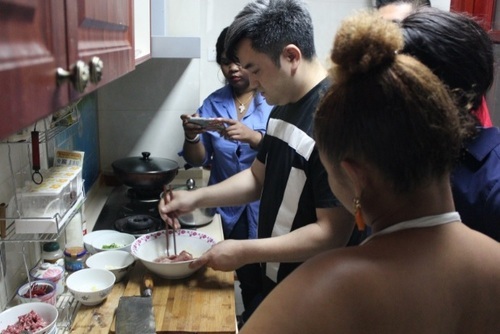 Later, learn how to make dumplings before the flight to Chongqing. 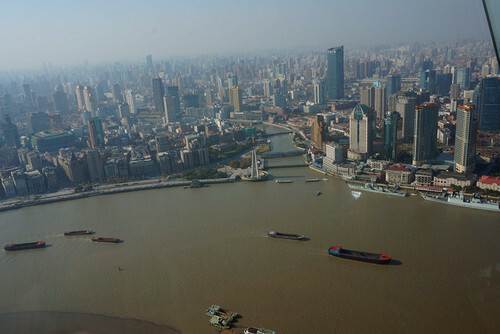 Along the way, you will sense the beauty of Yangtze River. 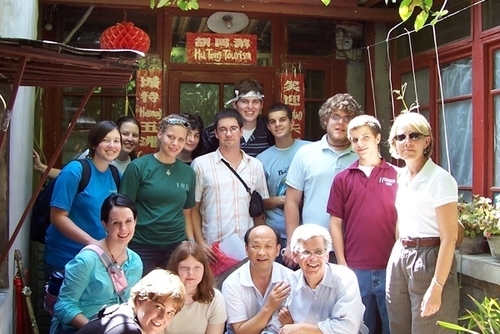 A land excursion will take you to an interesting site: Shibaozhai. Optional visit to Fengdu Ghost City is available upon your request. 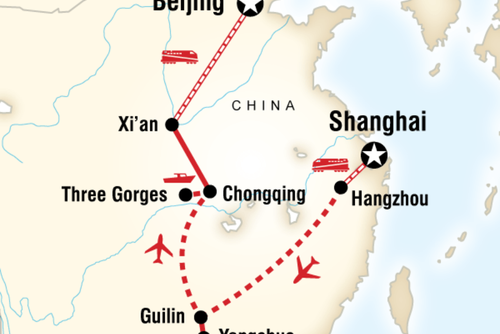 Yangtze River Cruise will weave your way into three gorges: Qutang Gorge, Wu Gorge and Shennong Stream. At night, the crew will put on a show for your entertainment. When you arrive in Yichang, your tour guide will take you to the Three Gorges Dam Site. Have lunch on your own arrangement. Fly to Shanghai. Check in upon arrival. Shanghai is an amazing city. 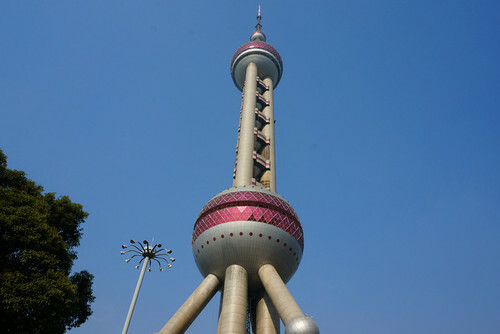 Today, you will visit Shanghai History Museum, Yuyuan Garden, Shanghai Old Street and the Bund. Not far away from the Bund, Nanjing Road is a paradise for shopping. Today, you will go to the airport for departure flight. Please note: Hotel to airport transfer will be on your own arrangement. If you need the transfer service, the price is approximately 38 USD per person based on a group of 2-3 persons. Apr.12 ,Apr.27,May.11 ,May.24,Jun.21,Jul. 12,Aug.16,Sept.13,Sept.20 ,Oct.11 ,Oct.25,Nov.8 . Shared English-speaking guide and driver. Hotels listed in the itinerary. 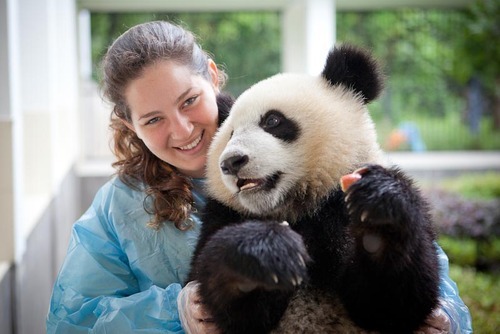 Have you booked with China Highlights? Please share your experience and submit your review.